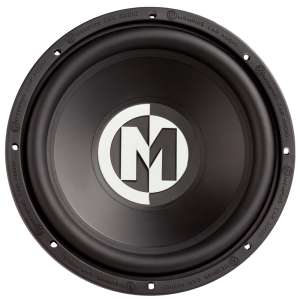 One of the easiest ways to add bass to your car, that we sell here at Sound World, is the 15-SRX212 Memphis bass package from Memphis Car Audio. This subwoofer package offers enough bass to satisfy almost anyone, and its price point of under $400 offers incredible bang for your buck! The package includes a pair of 12-inch subwoofers in a vented enclosure and a dedicated subwoofer amplifier. Add some wiring and a little labor, and you can have some serious thump to your ride. Adding a subwoofer to your audio system is the easiest way to make a dramatic difference in the way your vehicle sounds. Very few, if any, factory audio systems even bother to include subwoofers. The systems that do often don’t have large enough subwoofers or enough power. 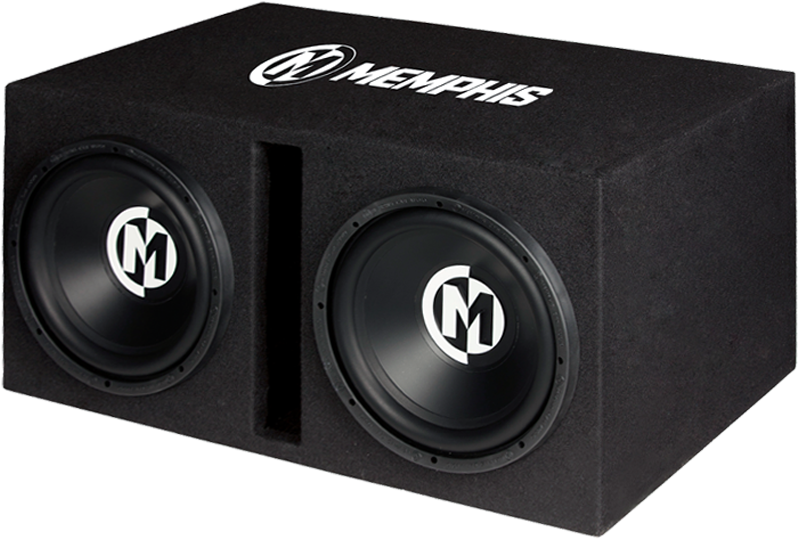 This subwoofer package from Memphis easily outperforms the best the car manufacturers have to offer. The Memphis Street Reference 15-SRX12S4 subwoofers were designed to offer great bass and excellent efficiency without breaking the bank. Each woofer is based on a stamped steel frame and features a durable injection-molded polypropylene cone and dust cap. The Memphis logo is emblazoned across the center of each sub. A butyl rubber surround ensures that these subs will last for years, while a 2-inch voice coil and tinsel leads that are woven into the spider make sure that these subs can handle their 500 watt max power rating. The subwoofers are matched to a Memphis Street Reference 15-SRX1.250 Mono Amplifier. The amp is rated to produce 500 watts max into the pair of subwoofers. It includes a bass boost circuit and remote level control that we can mount in the front of your vehicle. There is nothing better than having a “bass knob” at your fingertips to make instant adjustments to your system. The amplifier features RCA and speaker-level inputs. We can connect it to an aftermarket or most factory source units without the need for additional adapters or hardware. How’s that for convenient? Making quality bass requires a properly designed and tuned subwoofer enclosure. The 15-SRX212 package comes with a ported subwoofer enclosure in a durable black carpet finish. Memphis stitched its logo into the top of the cabinet, so it looks as awesome as it sounds. The enclosure measures 31.75 inches wide by 15 inches deep and is 15.75 inches tall. It is not tiny, but neither is the bass it produces! If this system does not meet your needs, we can quickly put together an incredible subwoofer system for you that does.